1. Fit : While Spring and Summer are all about flowing silhouettes, Fall is all about Fit. If you're in need of basics to build a wardrobe on, always prioritize fit, and if you don't find a piece that fits perfectly, don't be afraid to get it tailored. At 5'2", I have to hem almost every pair of pants and almost every dress that I buy, because I understand not every piece of clothing will fit my specific, unique physique. The cornerstone of good quality basics are clothes that fit well (or can be easily fitted); not only will you love how you look and keep wearing these pieces for seasons to come, but classic, fitted shapes never go out of style. 2. Value : You don't need to spend hundreds of dollars for good quality basics, but you definitely need to resist the temptingly low prices of Fast Fashion. You're simply not going to get the kind of necessary longevity out of lower quality pieces, and basics should be all about longevity. If you're on a bit more of a budget, look for clothing between the Fast Fashion and Contemporary price points (so in the $150-$300 range). The prices may seem steep, but will even out over time when you don't need to replace them every few months. It's also an investment in building a more functional, longterm wardrobe. 3. The Other Neutrals : While Fall isn't always the season to experiment with color, don't be afraid to expand beyond your basic black hues. We love neutrals in navy, burgundy, dark greens, deep purples, camels, etc. And the great thing about neutrals? They always match and look sophisticated. So next time you reach for a black blazer or booties, see if they come in another neutral. Now that you know what to look for comes the real challenge: where to look. Lines like Vince, Equipment, and Theory are always go-to's for quality Fall basics at contemporary prices, but for those of us that don't feel like dropping that kind of dough (or can't make it to the outlets), looking for more affordable options gets really tricky. Few brands exist between the Fast Fashion and Contemporary spaces; but luckily, more companies are emerging that cut out the middle man and deliver contemporary-quality pieces without the mark-up. Lines like Everlane are even bringing transparency to their production practices, so we know exactly what we're paying for, making the search for value just a tad easier. Below, I've compiled 4 of my favorite lines for quality basics, with links to some fun new arrivals for the season! Providing minimal basics that focus on quality and design, AYR specializes in essentials like jeans, blazers, silk blouses, and coats, all in classic-yet-modern silhouettes. And though we're in love with their skinny jeans, this season, we're loving their cropped wide-leg pants, cozy sweaters, and clean coats. Fall is undoubtedly the best time to shop Aritzia's wide array of beautiful knitwear. From on-trend side-slit sweaters to the essential black turtleneck dress, Aritzia is all about quality pieces that are equal parts classic, on-trend, and minimalist. They develop their own brands in-house, which function as independent labels, and round out this selection with pieces from brands they love. 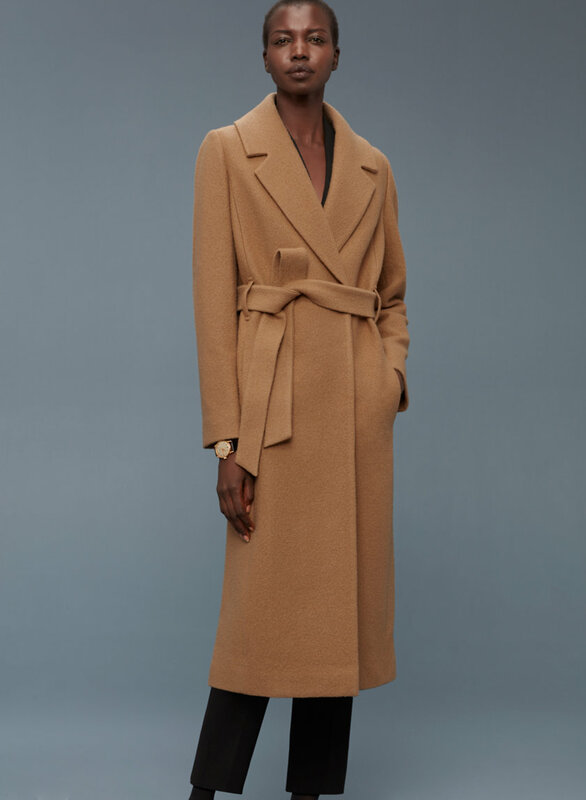 As their price points hover around $150 (with coats topping out around $475 and basic tops at $40), they easily negotiate that tough Fast Fashion--Contemporary middle ground. J. Crew's little sister brand is definitely growing up, and they get better every season. Between the classic striped shirts, ultra cool leather jackets, on-trend jeans, and must-have booties, Madewell is taking this season's basics to the next level. With prices from $70 (for button downs and silk camis) to $130 for their super cute denim, you can definitely pick up a few key pieces here without breaking the bank. I've already sung the praises of Everlane many times on this blog, but they're adding new styles to their curated selection all the time. Some Fall favorites include the cropped turtleneck, stretch ponte pants, and modern oxford shoes.